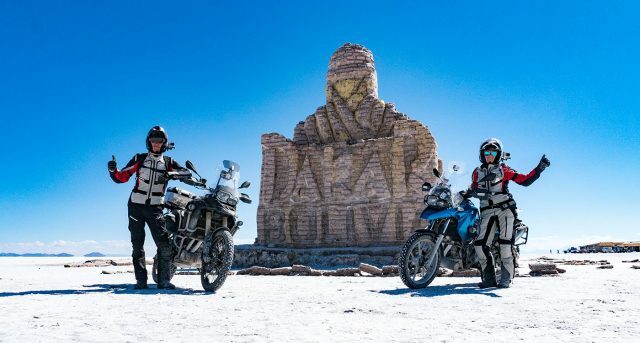 While planning the trip, it seemed to us that for Africa, one has to have certain skills and experience to be able to tackle exploring it on a motorcycle. This was the reason we have left it for the final part of our adventure. And probably we were right in doing so. 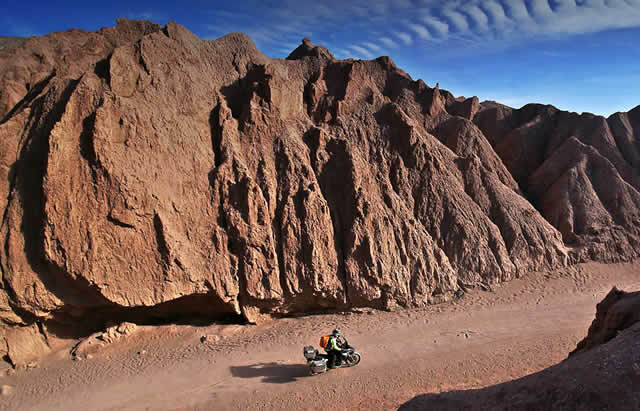 Indeed, Africa requires proper riding skills and an open mind to fully enjoy it. 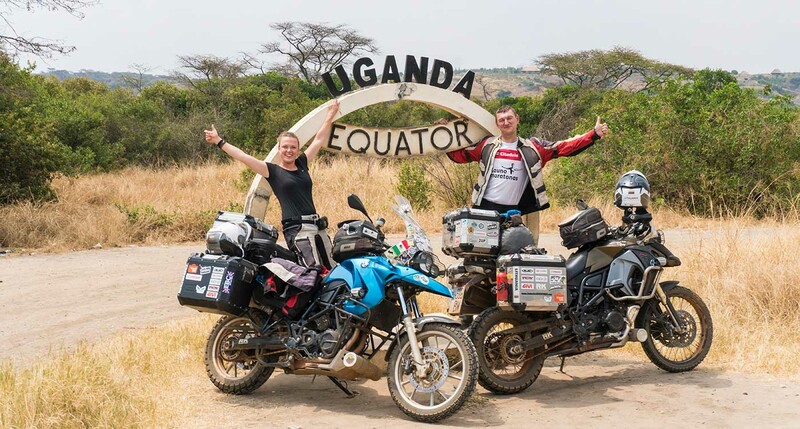 And even though we have decided to experience the easiest part of Africa – the East coast – we were glad we did not get straight here from Europe. 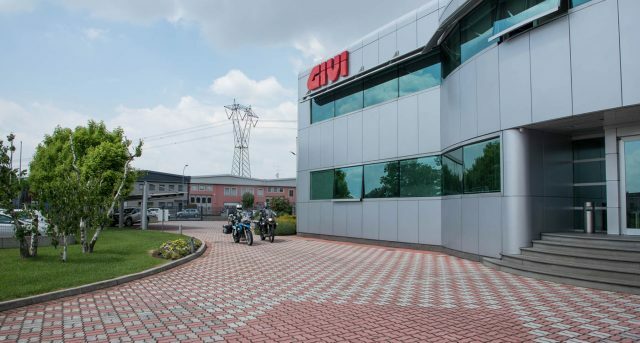 We have shipped the motorcycles from Iran to Kenya. The ship was late by two weeks and therefore arrived right on Christmas time. We feared that we will be stuck in Mombasa up until the end of the festive period as Kenyans are Catholics and do celebrate Christmas and New Year fairly intensively. 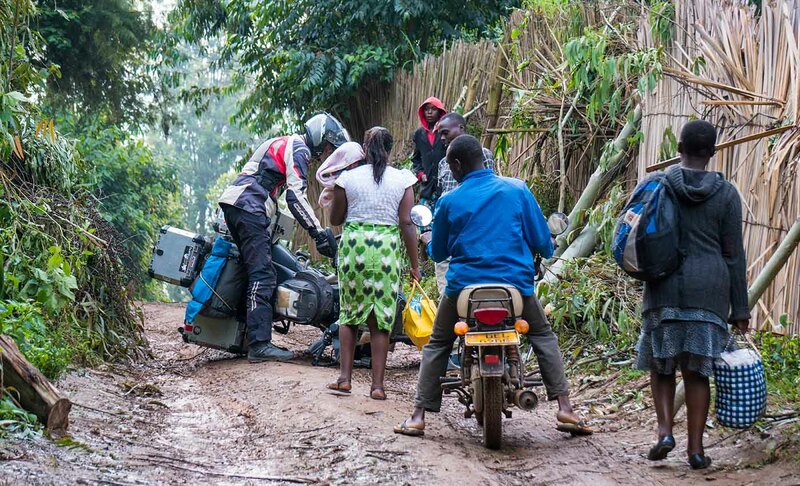 Luckily by pure accident we have met Yusuf – the shipping agent who agreed to help us get the motorcycles out of the port as quickly as possible. On the day when our container was unloaded, we got to “work” at 6 AM and it took us one (though a very long one…) day to get our wheels on the African soil! Just after midnight we finally opened the container and rode the bikes off. 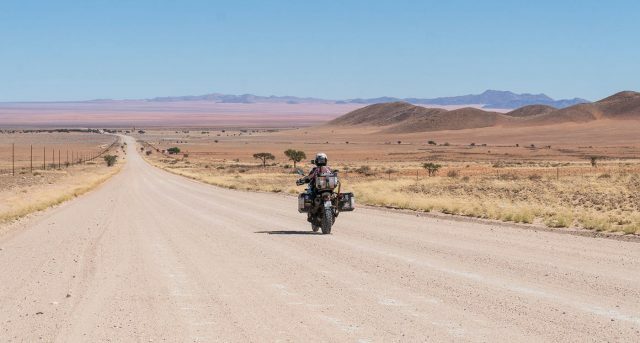 Without any further delays, the next morning we set off, heading west – away from the tiring heat and humidity of the Indian Ocean and into the land of contrasts. 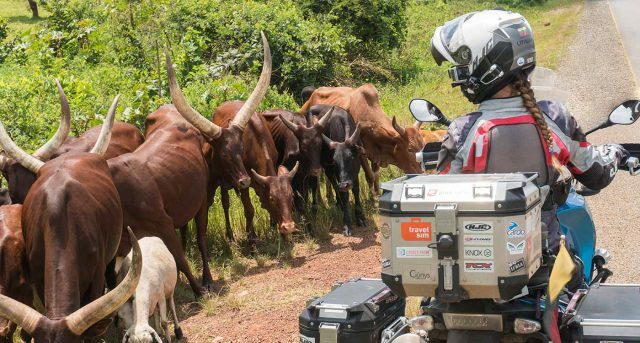 Plunging into Kenyan traffic on the outskirts of Mombasa was an adventure in itself. Pedestrians, motorcycles, free roaming cattle, cars, trucks, buses and the famous minibus-taxis called Matatu (in Kiswahili meaning “the threes” because of three seats in each row, but in reality you would never know how many people, chickens or goats are actually squeezed inside…) make the process of riding there adventurous, to say the least. 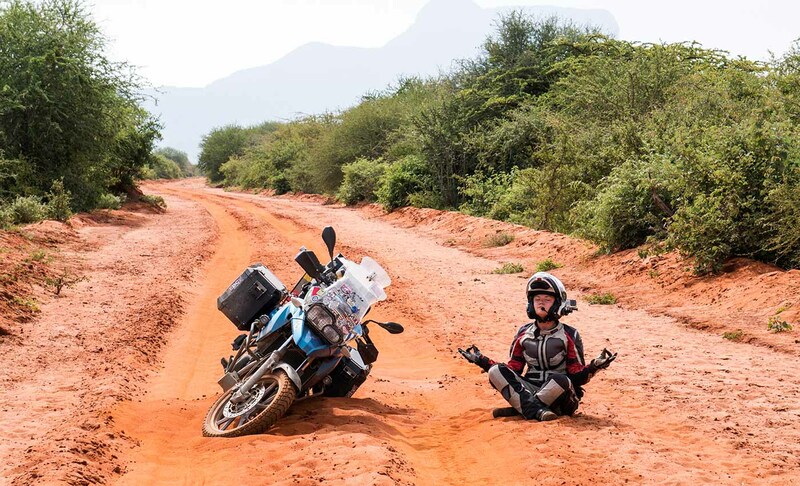 Then, given the fact that Kenya was the first country where we got to ride our motorcycles on the left side of the road, it must have been pure luck that we actually made it through the first few days without getting into any kind of trouble. Eventually, after getting used to the direction of traffic and several specific rules of the “jungle law”, riding on Kenyan roads didn’t seem too chaotic or challenging, even though we were pushed onto the shoulder of the road by many crazy bus drivers who completely ignore the presence of a motorcycle or often even a car when they decide to overtake a slower car or a truck in front of them. 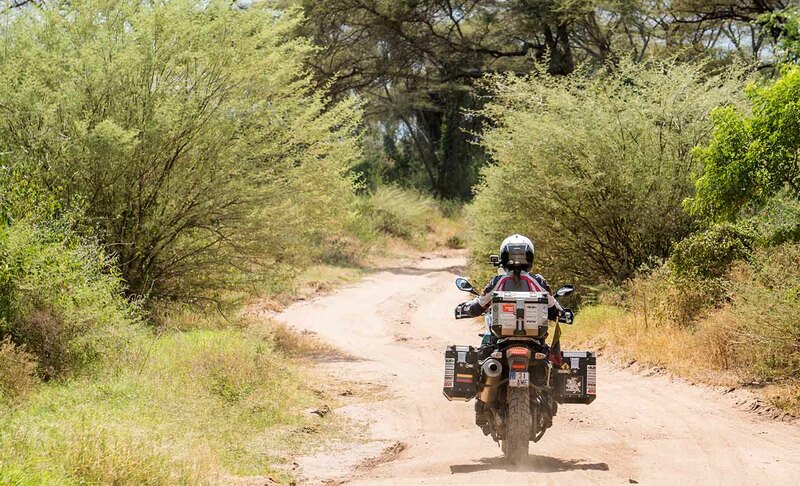 Our first taste of bright red African soil was the stretch of dirt road from Maungu, through Kasigau mountain and towards Mwatate. Fingers on one hand would not be enough to count the bikes dropped on the loose sand… The problem with African mud is that it’s super slippery and boggy when wet, but when very dry, it can turn into loose sand as well… Anyway, were putting the bikes back up without complaining – we were in high spirits – WE WERE IN THE REAL AFRICA! And humming the tunes from the soundtrack of the Disney’s “Lion King” we carried on. Further west the main Kenyan highway, which connects the capital Nairobi with the port-city Mombasa, goes through the Tsavo National Park, dividing it into two parks: the Tsavo East and Tsavo West. 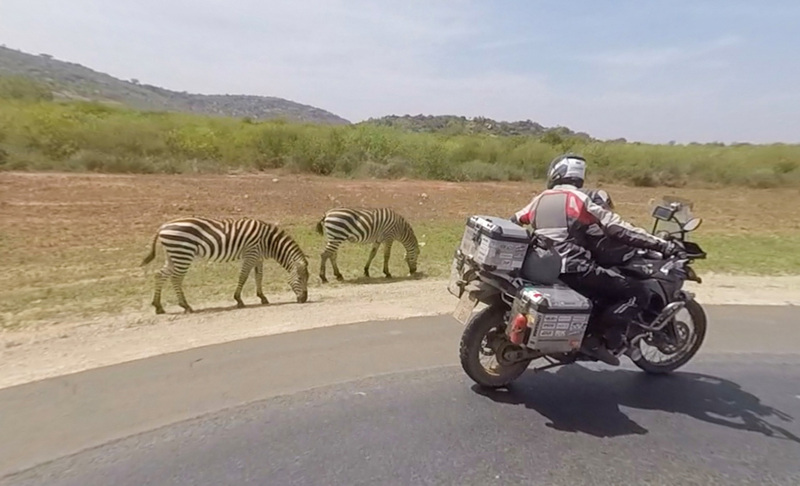 Zebras grazing right on the edge of the pavement on both sides of the highway proved that wildlife is plenty in the parks and made our hearts sing – how often do you get to ride your motorcycle right past the African wildlife?! 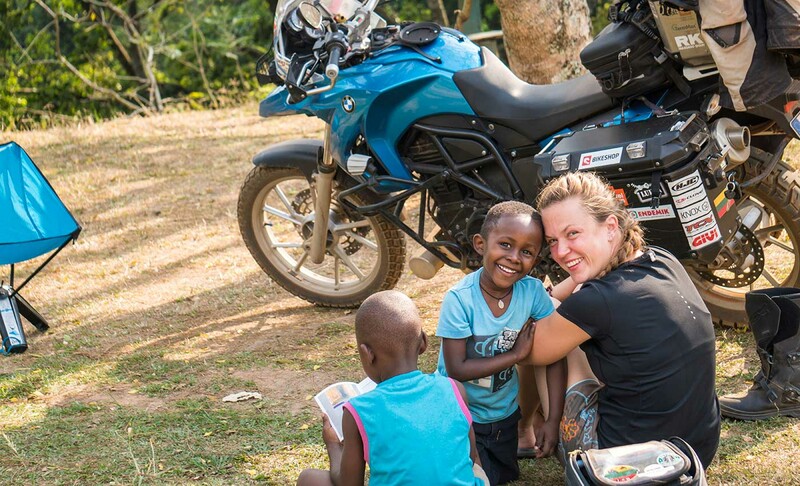 We stayed in Nairobi for a few days to celebrate the New Years Eve with the local community of South African expats – also passionate motorcyclists. 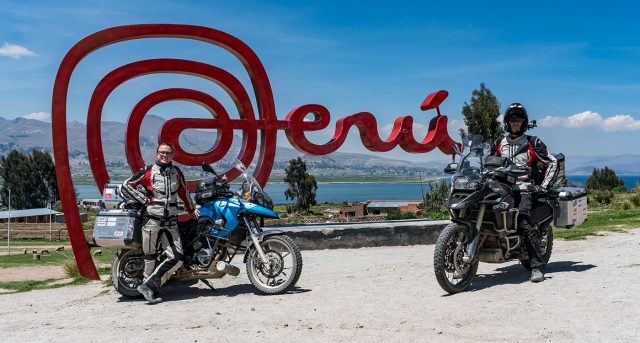 And started the year 2018 by riding further west in Kenya – to Lake Naivasha, then turning back a little to the magnificent Mount Kenya, then through the lush green Aberdare mountain highlands we continued west towards lake Nakuru and on to the town called Eldoret. After spending a few days there with other Lithuanians, we rode to Iten – the Kenyan source of the best elite runners. While riding in the area you have no doubts about the place being special for runners – there are numerous athletes training everywhere! Descending into the Rift valley was not only picturesque, but hot too! The temperature jumped up from just over 20 degrees centigrade to way over 30 in just 15 minutes! But the opportunity to buy fresh mangoes and avocados compensated us for the unpleasant feeling of being marinated in our own sweat inside our riding gear and we stuffed every available free space in our luggage with fresh fruits before continuing towards Lake Baringo where local hippos greeted us friendly from the water and were polite to not disturb our sleep at night as they were grazing around our tent in the moonlight. 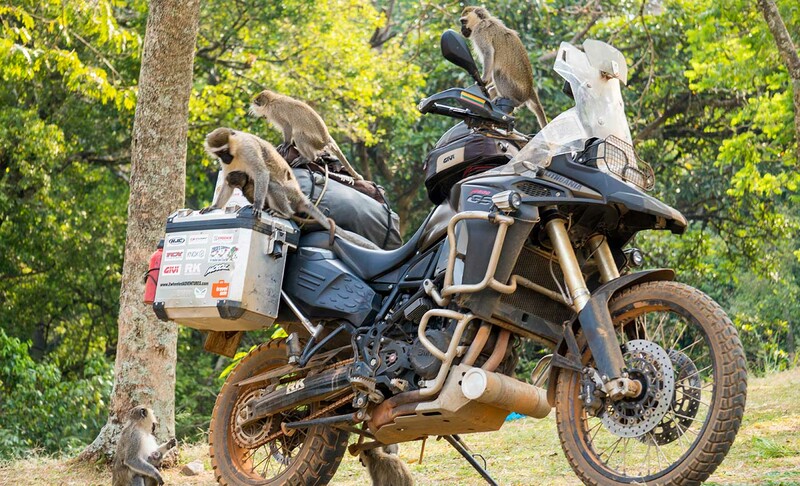 While planning our route from Lake Baringo, we had two choices: return to Eldoret and continue from there, or go a bit North and reach Kitale on A1 highway coming from Turkana Lake. 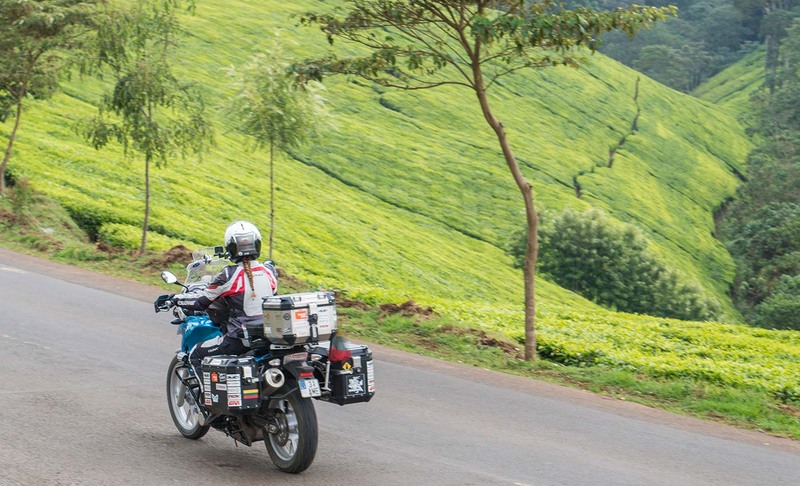 We decided that taking a new road up North should be much more exciting and for a while were convinced that our choice was correct as we were rolling pleasantly on a newly paved scenic Nakuru-Sigor road. But just over 10 kilometers down the road two armed military men stopped us. After hearing our route plan for the day they looked at each other and then at us… and said something about some rough section of gravel further up the road. 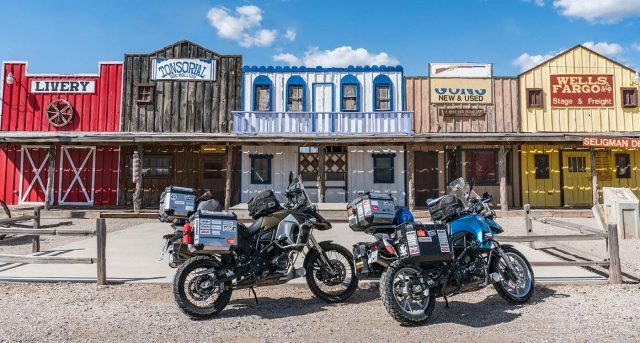 But then, after throwing a quick look at our bikes, one of them added: “…but you guys should be fine on motorcycles.”. 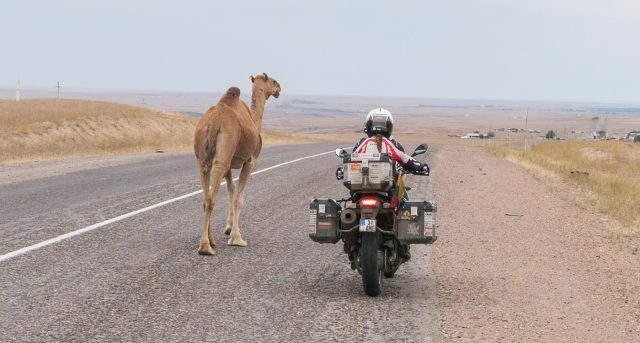 From the short conversation we got the idea that there is a stretch of rough gravel ahead of us which is about 10-20 kilometers long. Nothing to worry about, we thought to ourselves and continued on our original route. 10 kilometers later we reached a point where the newly paved road ended and what followed next seemed like a deviation to get around a small rocky mountain which was being prepared for blasting as the tunnel though it was being made. 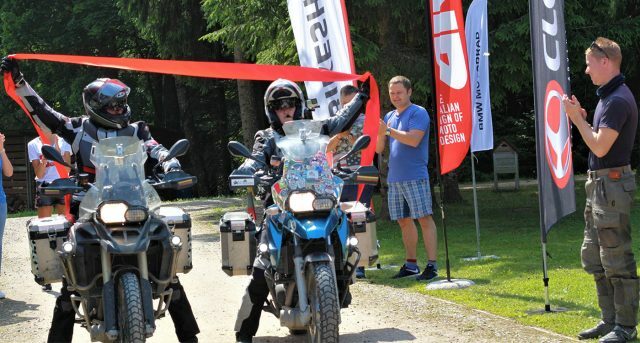 The “small deviation” ended up being over a hundred kilometers long! And the track was gravel, with steep inclines and descends, the path made on pure rough rock and stones, loose sand, river crossings and trails through very remote villages… It took us the whole day to reach the relative civilization which offers the luxury of riding on paved road instead of a red cloud of dust at almost 40 degrees heat! Ugandans are chaotic and a bit messy, but very warm and friendly people. 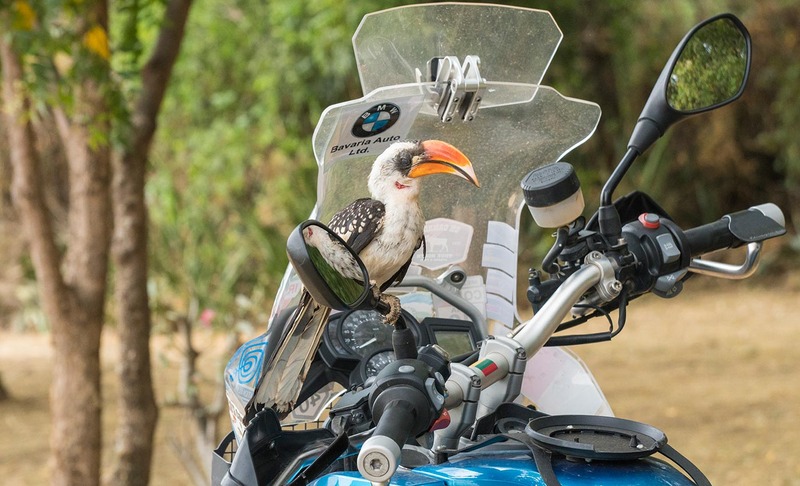 We spent a few days in Kampala, being hosted by a local motorsports enthusiast, who introduced us to his friends and family. And we were even given a chance to participate in the meeting of Kampala’s Rotary club! Finally, before heading to Rwanda, we stopped by Lake Bunyoni. 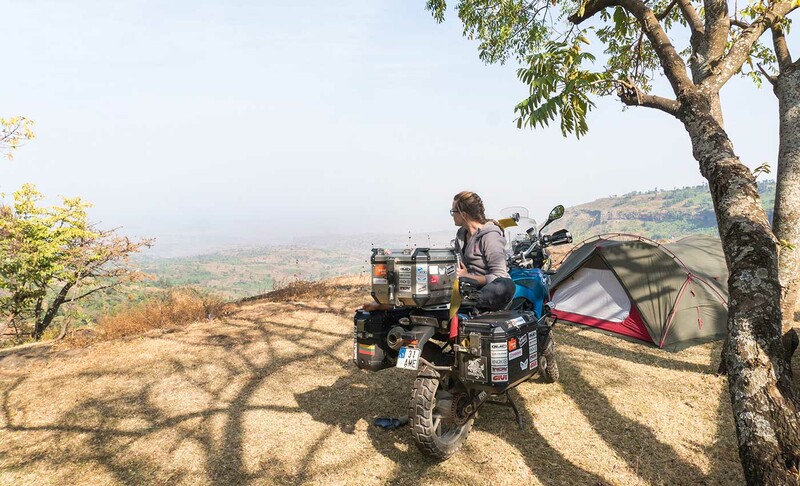 It was not only the lake with its surroundings that was truly spectacular, but also the road getting there – this time the bright red African soil was soaked with rain and we were slipping and sliding on curvy mountain roads while getting down towards the lake. 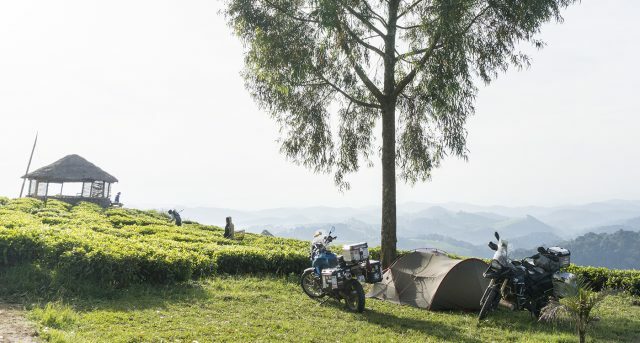 After a night camping on the manicured lawn right on the coast of Lake Bunyoni, and watching the local fishermen floating on the still water of the lake in the morning, we repacked our bags to prepare for entering Rwanda. Plastic bags are forbidden in the country and we heard that baggage is being checked at the border and plastic is confiscated. Since we only had some thick plastic bags in our panniers which we used for storing some of our personal stuff and were planning to take them into Rwanda and then out together with us, we put them deeper into the panniers and hoped that the border officials will spare us the hassle of having to leave those bags for them and repack our conveniently packed things. 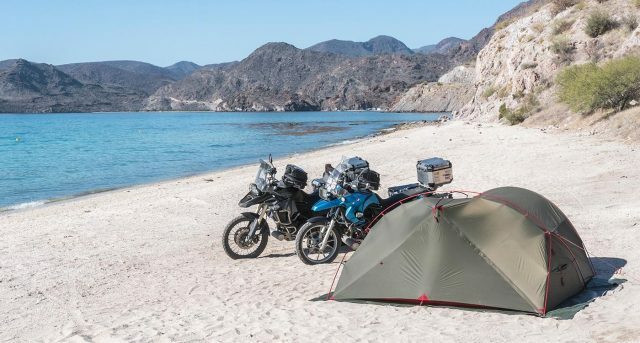 At the border, our bikes were not even looked at! 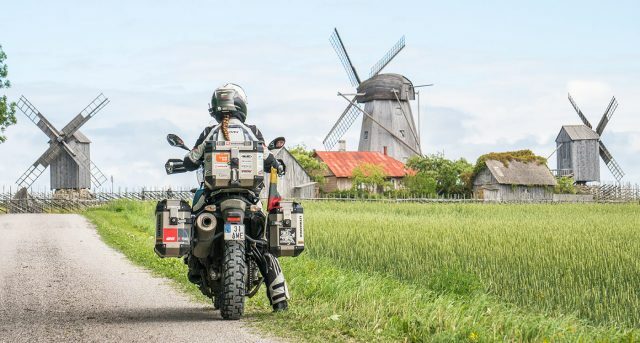 Even by the customs officers who stamped our motorcycle import papers – Carnet de Passages en Douane! The main object of everyone at the border was to get 30 US dollars for our visas paid and send us off. 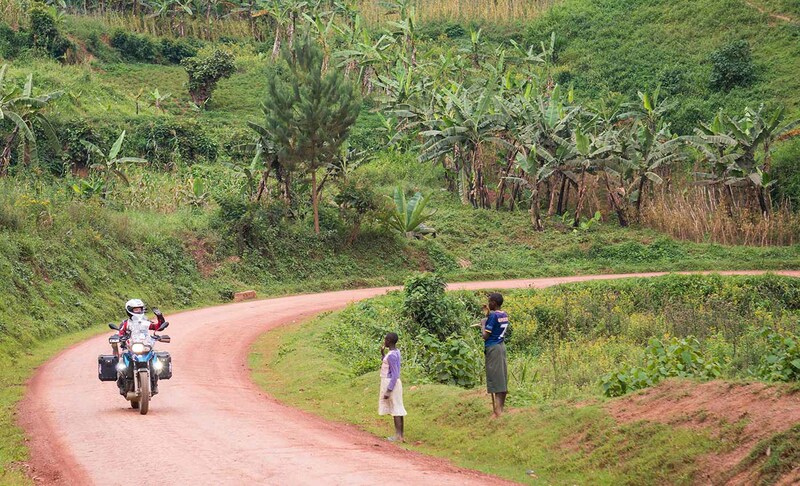 So very soon we were free to explore Rwanda.